There was a time when sharing family photos and videos was less complicated. 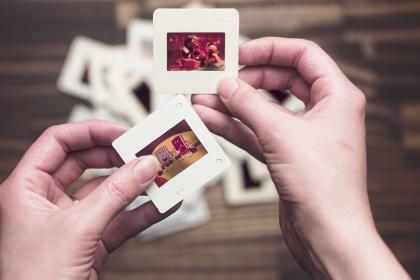 Mom would dish up Jell-O salad, Dad would set up the slide carousel or the 8mm reel-to-reel projector and everyone would sit on the shag carpet to watch the family slideshow or home movies of past holidays. Today, things are a bit … different. Dad dishes up quinoa salad, Mom tries to get the TV to play videos from her computer and the kids film it all on their phones and immediately post it to Instagram. Not quite the idyllic image of the family sharing fond memories together. But the days of sitting in front of a big screen together to enjoy family photos and videos is not gone — it’s just evolved. DivX® technology can help make sharing and enjoying your memories much easier … and hopefully less stressful. With our free tools you can cast your photos and videos to your TV or combine a bunch of videos into one easy-to-enjoy file, allowing everyone to share memories without crowding around your phone or computer. Rather than gather around a phone or computer, cast your video onto your TV. Round up the family, get comfortable on the living room couch and show off videos and photos directly from your computer. Fortunately, with DivX Software, you can easily cast content from your computer. 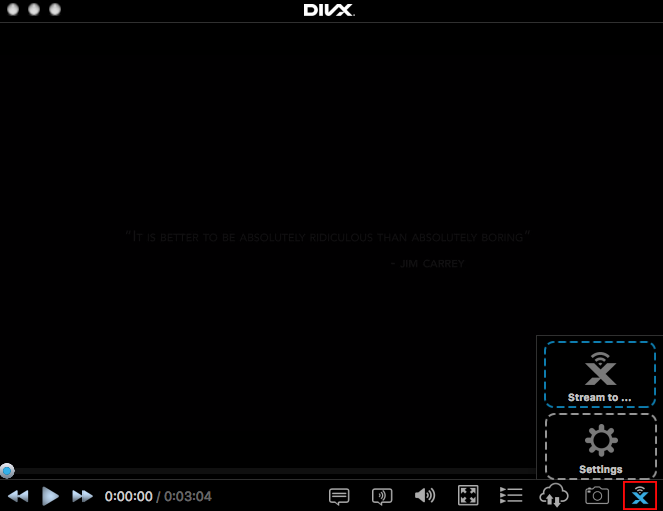 Cast from your computer: Using free DivX Software, open a video in DivX Player. Once you select the casting icon at the bottom right (and “Sharing” is turned on), you can pick a device to cast your video. Keep in mind that the smart TV or device (e.g. Chromecast, Roku, Xbox) must be on the same network. If you run into any challenges, please check out our Support site for more help with DivX Media Server. If you have tons of short videos to share, you can combine them into one, single video with a simple click. By using DivX Converter, you can drag and drop several videos, select the aptly named “Combine all videos into one file” box and click “Start”. Just like that, you can combine multiple videos into one video. Plus, since you’re using the compression technology in DivX Converter, you can even reduce the size of your files and create a video file perfectly suited for wherever you want to play it. Check out our Support page for additional info. Whether you want to share memories together, or just try to come up with an activity that avoids a family political discussion, DivX products can help. If you ever get stuck or have any questions, don’t hesitate to reach out to us through our Support site or cruise the Forums for answers.